Pakistan's National Assembly Speaker Ayaz Sadiq on 19 May said that alleged Indian spy Kulbushan Jadhav's issue should not be politicised. "If the Army chief said that he provided the lawyer for the Jadhav case and then any criticism directed at him is baseless," Geo News quoted Sadiq, as saying. Opposition leader Khursheed Shah said the Attorney General should have been sent by the government to represent Pakistan's case in the International Court of Justice (ICJ). 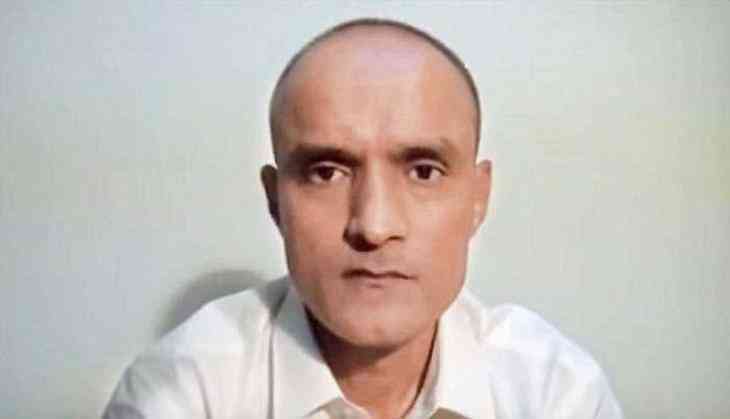 He called the ICJ's temporary stay of the execution of alleged Indian spy Kulbhushan Jadhav a "setback" for the country and said the government's negligence was evident in the case. Meanwhile, the Pakistan Tehreek-e-Insaf (PTI) has blamed Prime Minister Nawaz Sharif for the International Court of Justice's (ICJ) temporary stay of the execution of alleged Indian spy Kulbhushan Jadhav and asked him to clear his position in the parliament. Calling the ICJ stay on Jadhav's execution as an 'unfavourable' outcome, the PTI has raised a series of questions, seeking an explanation from Sharif on the Indian response on the Jadhav issue. "PM Nawaz should appear before the house to explain why Pakistan did not appoint an ad hoc judge as it had a right to and why the Foreign Office did not take legal advice before initiating correspondence on the issue," The Express Tribune quoted PTI Central Information Secretary Shafqat Mehmood, as saying. Mehmood asked why the government gave the task to a lawyer who had never argued a case independently before the ICJ and what compelled the government to send a first year associate from Attorney General's office instead of AG himself to the ICJ. Seeking an explanation as to why the government did not submit a written defence before May 15, the PTI leader argued that apprehension regarding the ICJ decision had come true. Dr. Shirin Mazari, another PTI leader. and an expert on international relations, said that Pakistan should have gone to the ICJ fully prepared. The Pakistan People's Party (PPP) said that the case at the ICJ had been mishandled and demanded a meeting of the national security committee on the Jadhav issue. PPP vice-president Sherry Rehman said Pakistan had failed to plead its case and questioned as to why the counsel completed his arguments in 50 minutes against the allocated time of 90 minutes. She said Pakistan should have appointed an ad hoc judge under relevant rules. These reactions came soon after the Pakistan's Foreign Office said that the ICJ has no jurisdiction over the county's national security matters, which in this instance was the execution of Jadhav. Foreign Office Spokesman Nafees Zakaria said the decision to challenge the ICJ's jurisdiction was taken after consultation with all government institutions and agencies. Zakaria said Pakistan's reply to the court was submitted in line with Article 36 of the Vienna Convention. He pointed out that there exists a bilateral pact on consular access between Pakistan and India since 2008 and added that Article 6 of the pact solely relates to consular access being determined on the merit of the case. Zakaria said, "After India stood exposed on state-sponsored terrorism and financing terrorism, it tried to divert attention by presenting the Kulbushan Jadhav case with a humanitarian angle." The ICJ, the primary judicial organ of the United Nations, stayed the death sentence awarded to Jadhav by the Pakistan military court, citing that both - India and Pakistan - were bound by the Vienna Convention and that the rights invoked by New Delhi under the Vienna Convention were plausible.